Once, when I was asked to speak at a local church about poverty and homelessness, I asked one of the greeters before the service began where the bathroom was located. A local man, talkative and uncomfortably open about his struggles with mental health was lingering in the foyer. He began to point me towards the bathroom. "No no no" snapped the greeter. "I will show you." She took my arm and ushered me towards the bathrooms. "I wish he'd just go away." she said. This church was happy to welcome me in to talk about God's call to serve the broken, hurting, poor and lonely. But when faced with someone who identified as all those things, they just wished he'd go away. Perhaps this is an extreme example, but it exposes our hearts, doesn't it? How often do we want to give lip service to the importance of charity, but keep our hands clean from the work involved? 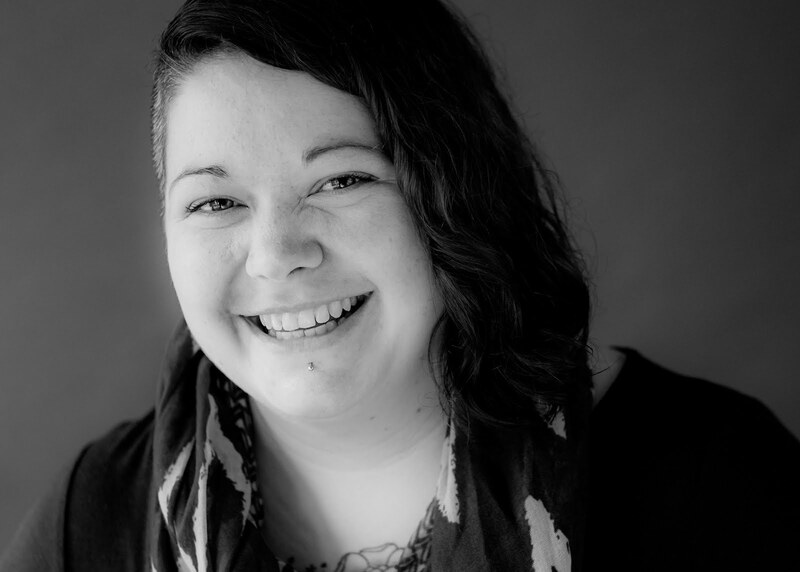 How tempting is it to esteem the value of reaching out to those on the margins, while avoiding the messiness and the difficulty of stepping outside of our comfort zone? Like the rich young ruler, we want to follow God, but we don't want it to actually discomfort us. I'm guilty of this. Are you? But when the church is hesitant to step boldly into the areas of great need in our cities, it is not just the poor who are robbed, but us. When Christ told us that he would be uniquely present in those on the margins, that by giving food to the hungry or a cup of water to the thirsty we would be giving it to Him, he was not only making ongoing provision for the poor through His church, but he was enrolling His people in the messy, sacred, refining work of caring for those on the margins. And friends, we need that. 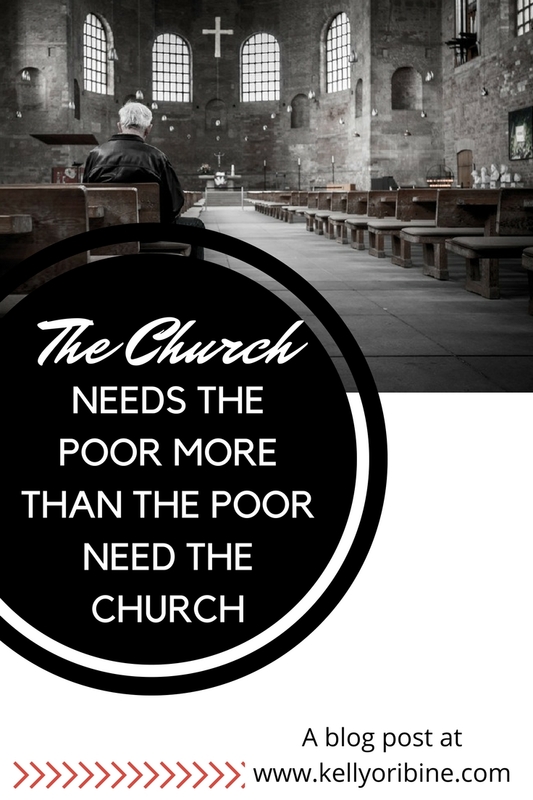 The Church desperately needs the poor in our midst. The church needs the poor because we need to practice grace in order to believe in it. Because the self made man is a lie, and the only reason you and I are not on the street begging for our dinner is because God saw it fit to use us elsewhere. When we care for those living in poverty we quickly see that poverty is not a mere financial lack or some sort of moral failing, but primarily a lack of relationship and community. If it were not for the people who spoke love and encouragement and value into our lives we would have nothing. And when we become aware of our own undeservedness we come to a place where we can begin to live out grace. The church needs the poor because the truest response to gratitude is giving. If we truly believe that everything we have is given to us by the hand of God, not because of who we are but because of who He is, we cannot help but share it. The church needs the poor because they meet us in a place of common need, not of things, but of love, and hope, and grace. In a world where we are so often defined by what we have and what we have accomplished, where we can hide our deepest needs behind comfort and acceptance and success, the poor expose our heart needs, our loneliness, our fear, our longing. We need these walls torn down, so that we can come face to face with our own poverty and experience God. The Church needs the poor because Christ is uniquely present in those on the margins. When we give food to the hungry or water to the thirsty, it is as if we have given it to Christ himself. We sing the words "come Lord Jesus, come" but Christ has given us the opportunity to welcome Him among us in a beautiful mysterious way, in the form of those on the margins. 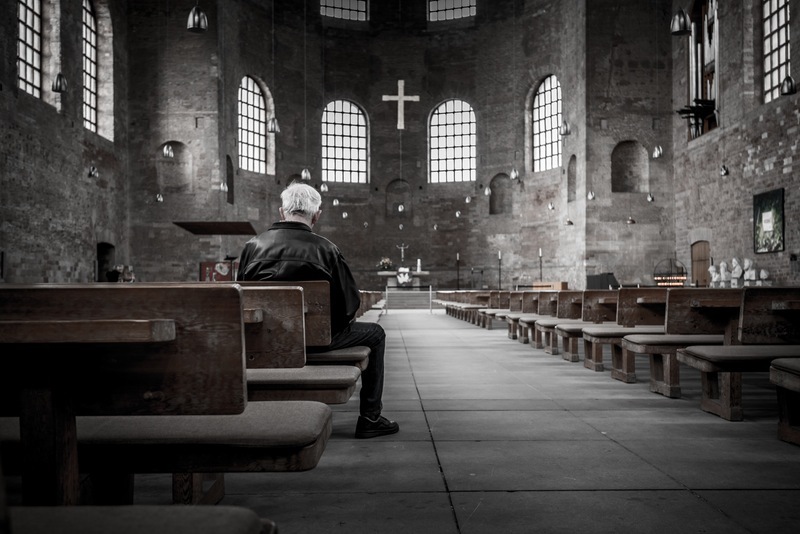 The Church needs the poor because they protect us from materialism. We sometimes love our stuff more than we love God. Materialism is a powerful distraction for our hearts that love to be distracted. But when a beloved friend needs a warm coat, our grip on our stuff is loosened. Loving the poor, personally and actively, begins to set us free from the pull of material items. The shiny new things in the store lose a lot of their appeal when you've come to love someone who doesn't know where their next meal will come from. The Church needs the poor because it is a picture of the God who came for us. Just as Christ stepped down from heaven to bring light into our dark world and hearts, we get to step out of our comfortable church pews to shine God's light into the darkest parts of our cities, to interrupt pain with love, and despair with hope. The church needs the poor more than the poor need the Church. Not because serving the poor makes us feel all warm and fuzzy inside, not that the poor are a pawn to help us pat ourselves on the back, but because without the poor in our midst we risk losing sight of our own desperate need. God has given the poor to the church, not to burden us, but to bless us. The church needs to be actively engaged in reaching out to the least of these in our community, or, dare I say, we aren't the church. Let's be the church today. Amen Kelly, thank you for sharing this truth with us.